The MOSSAR Color Guard Team participated at the Closing Ceremony each day on June 28 - July 1, 2012 at "The Wall That Heals", which was held at North Kansas City High School Footbal Stadium in North Kansas City, MO. It is estimated that over 15,000 people attended this event over the four day period. On Veterans Day 1996, the Vietnam Veterans Memorial Fund unveiled a half-scale replica of the Vietnam Veterans Memorial in Washington, D.C., designed to travel to communities throughout the United States. "Bringing The Wall Home" to communities throughout our country allows the souls enshrined on the Memorial to exist, once more, among family and friends in the peace and comfort of familiar surroundings. The traveling exhibit, known as The Wall That Heals, allows the many thousands of veterans who have been unable to cope with the prospect of "facing The Wall" to find the strength and courage to do so within their own communities, thus allowing the healing process to begin. The Wall That Heals also features a Traveling Museum and Information Center providing a comprehensive educational component to enrich and complete visitors' experiences. The Museum chronicles the Vietnam War era and the unique healing power of the Vietnam Veterans Memorial, while the Information Center serves as a venue for people to learn about friends and loved ones lost in the war. Since its dedication, The Wall That Heals has visited more than 300 cities and towns throughout the nation, spreading the Memorial's healing legacy to millions. 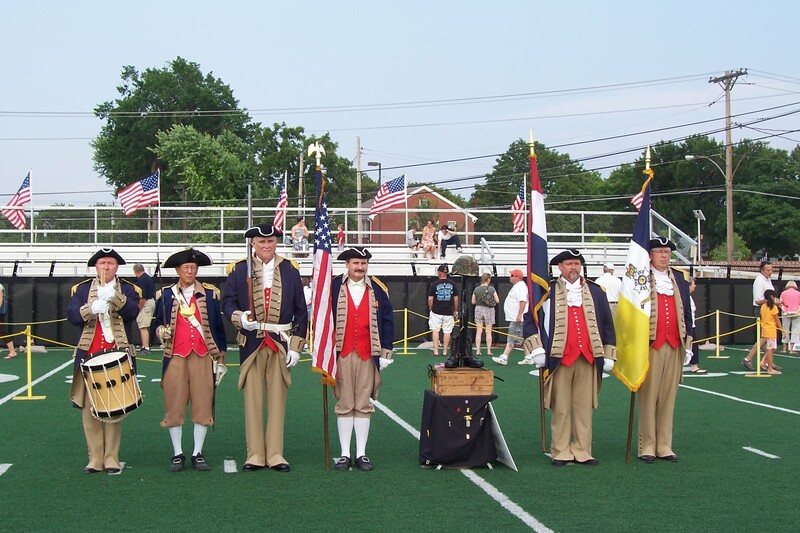 Left Photo (L-R): Compatriot Bob Corum; Major General Robert L. Grover, MOSSAR Color Guard Commander; Compatriot Jack Iminger; Compatriot Dirk Stapleton; Compatriot Dave Stick; and Compatriot Mike Schrmidt. 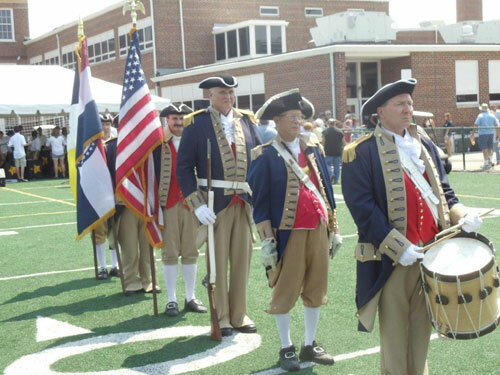 Center Photo (L-R): Compatriot Bob Corum; Major General Robert L. Grover, MOSSAR Color Guard Commander; Compatriot Jack Iminger; Compatriot Dirk Stapleton; Compatriot Dave Stick; and Compatriot Mike Schrmidt. 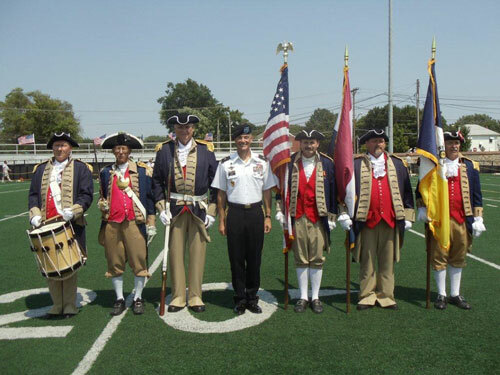 Right Photo (L-R): Compatriot Bob Corum; Major General Robert L. Grover, MOSSAR Color Guard Commander; Compatriot Jack Iminger; Brigadier General Gordon B. (Skip) Davis Jr., Deputy Commandant, Fort Leavenworth, KS; Compatriot Dirk Stapleton; Compatriot Dave Stick; and Compatriot Jack Quint.